Acorn TV, the streaming service focused on British television, has acquired the exclusive U.S. Premiere of Season 5 of “Line of Duty,” a series from Kew Media that was previously streaming on Hulu. The six-episode series, which is currently in production, will make its way to the streaming platform sometime in 2019, coinciding with its BBC One premiere. Written and created by Jed Mercurio (“Bodyguard”), “Line of Duty” is produced by World Productions for BBC One. Season 4 of “Line of Duty” aired on BBC One, where it attracted more than 8 million viewers. The finale was its highest-rated ever with 9.9 million viewers, placing it among the top five dramas of 2017 across all U.K. channels. Acorn TV is currently streaming the first three seasons and will add the fourth season with featured guest star and 2018 Emmy-award winner Thandie Newton (“Westworld”) on Monday, Nov. 26. Mamma Mia Figaro! 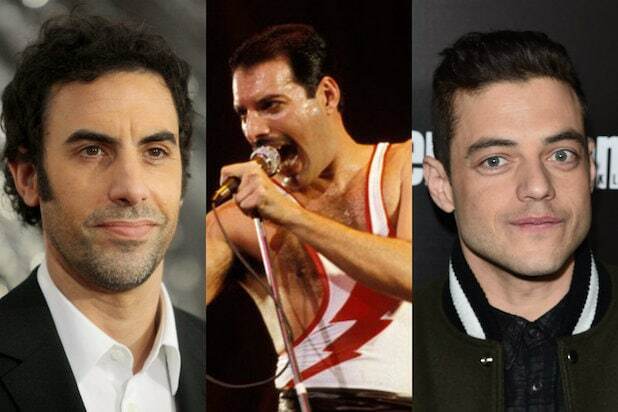 We’ve been anticipating a movie about the life of Queen frontman Freddie Mercury for the last seven years — when it looked like Borat himself, Sacha Baron Cohen, might play the flamboyant singer. And at long last, we got images from the film “Bohemian Rhapsody” signaling it would finally come to pass. To add to the turmoil, Bryan Singer was even fired from the film. But the film finally opens on Nov. 2. Here’s a brief history of the long road the film has taken to get made. We finally get the first look at Malek as Mercury, and he looks stunning, bearing an uncanny resemblance of Mercury at Queen’s 1985 Live Aid concert. Malek also revealed that he would be singing in the film with a mix of Mercury’s own voice and was recording in Abbey Road studios. Aidan Gillen and Tom Hollander also round out the film’s cast. Fox releases the first teaser trailer for “Bohemian Rhapsody.” The film was pushed to Nov. 2, 2018 in March of that year. The teaser is a glossy look at the band’s rise to stardom, but it’s criticized for “hetero-washing” Mercury’s gay identity and for saying Mercury died of a “life-threatening illness” instead of openly saying he died of AIDS. The movie finally opens in theaters — with Rami Malek winning high praise for his performance (if not for the prosthetic teeth he uses to mimic Mercury’s famous overbite). But reviews are overall tepid, with the film garnering a weak 60 percent on Rotten Tomatoes on opening day.